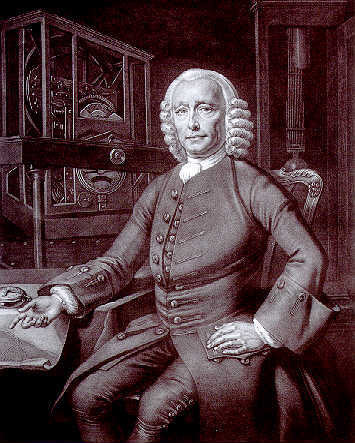 On April 3, 1693, self-educated English carpenter and clockmaker John Harrison was born. Harrison invented the marine chronometer, a long-sought-after device for solving the problem of calculating longitude while at sea. However, it was not until toward the end of his life that he finally received recognition and a reward from the British Parliament. Little is known about John Harrison’s early years. He was the oldest of five children, born in Foulby in the West Riding of Yorkshire, UK. In his youth he learned carpentry from his father. Legend has it that at the age of six, while in bed with smallpox, he was given a watch to amuse himself and he spent hours listening to it and studying its moving parts. In 1713, at the age of 20, Harrison constructed his first pendulum clock, which can still be seen today in the exhibition rooms of the Worshipful Company of Clockmakers in Guildhall. The reason for the construction of the clock and the question of where he obtained the necessary knowledge from are still unclear. In the years 1715 and 1717 he built two very similar pendulum clocks. In 1718 he married Elizabeth Barrel (1693-1726), with whom he had a son. After the death of his wife in 1726 Harrison married Elizabeth Scott (ca. 1702-1777), with whom he had two more children. In the early 1720s, Harrison was commissioned to make a new turret clock at Brocklesby Park, North Lincolnshire. The clock still works, and like his previous clocks has a wooden movement of oak and lignum vitae. 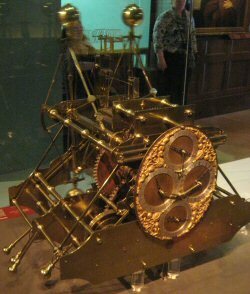 Unlike his early clocks, it incorporates some original features to improve timekeeping, for example the grasshopper escapement. Between 1725 and 1728, John and his brother James, also a skilled joiner, made at least three precision longcase clocks, again with the movements and longcase made of oak and lignum vitae. 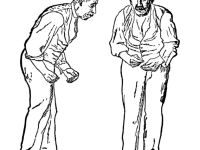 The grid-iron pendulum was developed during this period. While latitude is relatively easy to determine with sufficient accuracy for seafaring, determination of longitude with similar accuracy is much more difficult. In 1714, the English Parliament had offered up to 20,000 pounds of prize money for a practicable solution to the length problem. The prize money was graduated according to the accuracy of the submitted method. It was not until a decade after the publication of the prize money that John Harrison began to study this topic, which would accompany him until the end of his life. So far no practicable solutions had been found by means of astronomical navigation. The Board of Longitude had been set up to assess the proposals submitted and to administer the prize money. Well-known astronomers all over Europe tried to find astronomical solutions, especially the moon distance method, which determines the angular distance of the moon to bright fixed stars near its orbit. The astronomical solution was based on tables of star occultations, which at that time could be calculated with sufficient accuracy, but which presupposed the visibility of the moon and were complicated to apply. John Harrison, on the other hand, relied on sufficiently accurate clocks. 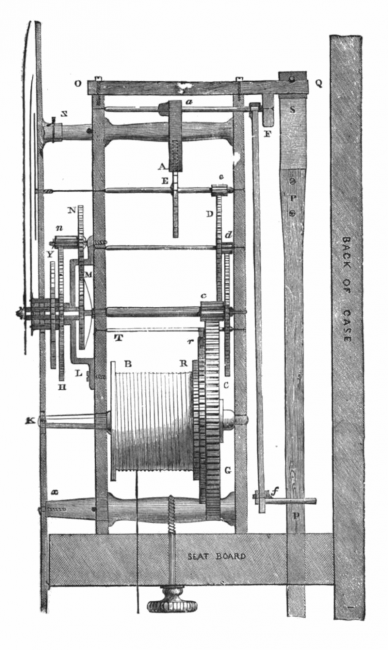 Harrison had built his first pendulum clock with a wooden wheel movement in 1713 and was later the first significant invention to compensate for the temperature dependence of pendulums: A grid consisting of two types of metal rods with different thermal expansion (steel and brass) prevented the total length of the pendulum from changing with temperature fluctuations. He had achieved a low-friction running of his grandfather clocks with his grasshopper escapement, lubrication-free wooden gears avoided deviations due to resinous oil. Checks by measuring star passages proved the reduction of previous inaccuracies to less than a tenth. He then wanted to design similarly accurate clocks for ships: he presented his concept in 1728 and his first model in 1735. 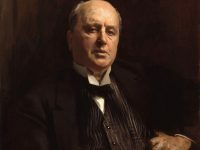 He compensated temperature fluctuations by bimetallic ship movements by connecting two identical pendulums (in the first draft) with a spring. At the beginning of the voyage, the chronometer was set to the solar time of the known longitude, the Greenwich meridian. From the time difference between the displayed time and the local time (determined by bearing the sun or stars), the geographic longitude could be calculated with sufficient accuracy – assuming a time that was approximately to the second. John Harrison’s H1 marine chronometer. 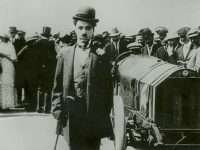 A test drive with the first model developed by Harrison, today called H1, to Lisbon and back showed much higher accuracy than prescribed for obtaining the prize, but the journey time had not met the conditions of the tender. Above all, however, Harrison, as a scientific layman, had to face a learned committee. This delayed the acceptance of his idea by decades. Especially Sir Nevil Maskelyne (1732-1811), from 1765 court astronomer of the English royal house, relied until the end on the longitude determination with the moon distance method and changed the interpretation of the call to Harrison’s disadvantage. Harrison received just enough money from the Board of Longitude for an improved model H2 (1737), later for the ball bearing H3. Neither of these two watches was tested, because England was at war with Spain and they did not want to let such a device get into enemy hands. 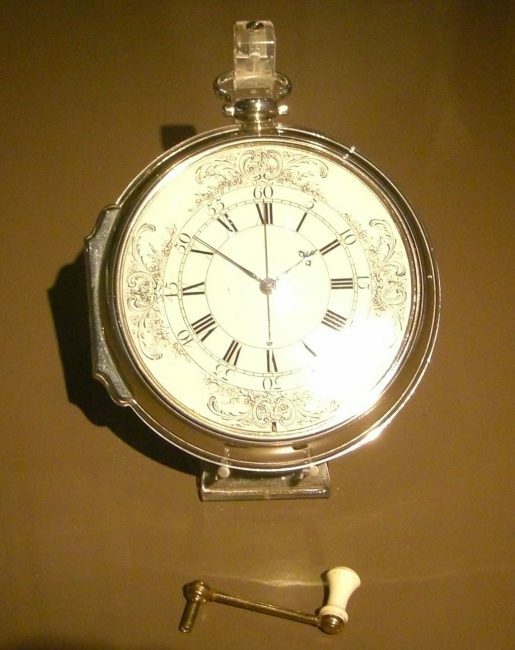 A pocket watch which he had made for himself in 1753 by John Jefferys in London, and which was surprisingly accurate, led Harrison to a completely new concept: he abandoned the further development of the H3 and introduced a fourth model in 1759, with a diameter of 13 cm and a weight of 1.45 kg: much smaller and lighter than any of his earlier pieces. Essential for the accuracy of the H4 was a newly developed drive mechanism (remontoir d’égalité). The principle is still used today in mechanical chronometers. On the 81-day trip to Jamaica, the H4 showed a gear deviation of only 5 seconds. Overall, it showed a deviation of 1 minute and 54.5 seconds on its return to England. 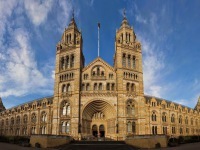 However, its accuracy was accustomed by critics as “accidental”. Harrison was forced to dismantle the watch, explain it and hand over construction drawings in front of the Commission. This was to enable another watchmaker to produce another copy of the same model (originally two were required). Harrison had received £10,000 in 1765 after addressing Parliament. Harrison himself, already at an advanced age, had to build his next model without his original plans, but in collaboration with his son William he created another improved model, the H5. After an audience with George III, the king personally tested the machine. He expressed the highest satisfaction and stood up for Harrison at the commission; nevertheless the model was denied the recognition of the Board of Longitude. Only after the King had threatened to appear before Parliament in person were Harrison granted a further £8750 in 1773, three years before his death. Only when James Cook  returned home from his second voyage around the world on 30 July 1775 and confirmed the quality of K1, Kendall’s exact copy of H4, was most astronomers considered the length problem to have been solved.